Good morning Brothers and Sisters, once again union rights are under attack. Cooper tire workers in Findlay Ohio USW local 207L have been locked out and "Scab" workers have taken their jobs. We need to stand up and help our Brothers and Sisters in their fight. Just a little background on what the local members are dealing with; in 2008 members gave up $31.2 million in concessions as well as tax payers gaving $2.5 million in subsidies since 2009 all to help deal with falling profits. The union members are willing to make sacrifices but are not willing to give the 40% wage cut that comes along with the new propsed production target. Last year CEO Roy Armes recevied $4.7 million and is expecting our members to take a cut. The top 5 executives took home more than $9.5 million last year and bought themselves a shiny new corporate jet, sounds fair to me right? The company is wanting more even after reporting a profit of $140 million in 2010. Lets get together and help our Brothers and Sisters in Findlay get back to work under a fair contract. On Saturday January 14th we will be holding a "Day of action". This "day of action" will be taking place all across the United States as well as here in our local communities. The Spokane location will be at 7777 N. Division Street at the Tire Rama @ 10:00 A.M., and Discount Tire 8120 N. Division St. @ 11:00. We will also have a location in Coeur 'd' Alene Idaho at the corner of Appleway and Government way in front of Tire Rama @ 10:00 A.M. At both locations we will be handbilling and picketting to get the info out to the public about Cooper Tires. We will not be Boycotting the stores but merely trying to get the customers to think about buying another brand of tires such as Union made Goodyears. If there is anything that any of you can do to help it would be greatly appreciated. If you need anymore information you can contact me at (208)755-5103. You have all seen these guys in action. Bagpipes, kilts, drums, beer, etc. LOUD and PROUD! They do a lot of great things for our community and are becoming an integral part of every major event in Spokane. You don't need to know how to play bagpipes or drums. They will teach you all you need to know. Right now, there is only one Local 29 member in their ranks and we would sure like to change that. How about it? Contact Chris Wetherell at firefighterweth@hotmail.com for more information. Monday January 9th 2012 at 11:57 AM eight Companies of Spokane Firefighters, five engines, two ladders, and one heavy rescue under the directions of Battalion Chiefs Jones, and Haworth responded to a reported fire at 1411 E Mission. 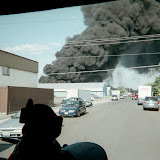 The first arriving company was Spokane Ladder 2 they reported heavy flame involvement to a construction trailer. Spokane Ladder 2 set up command and made assignment to in coming companies. 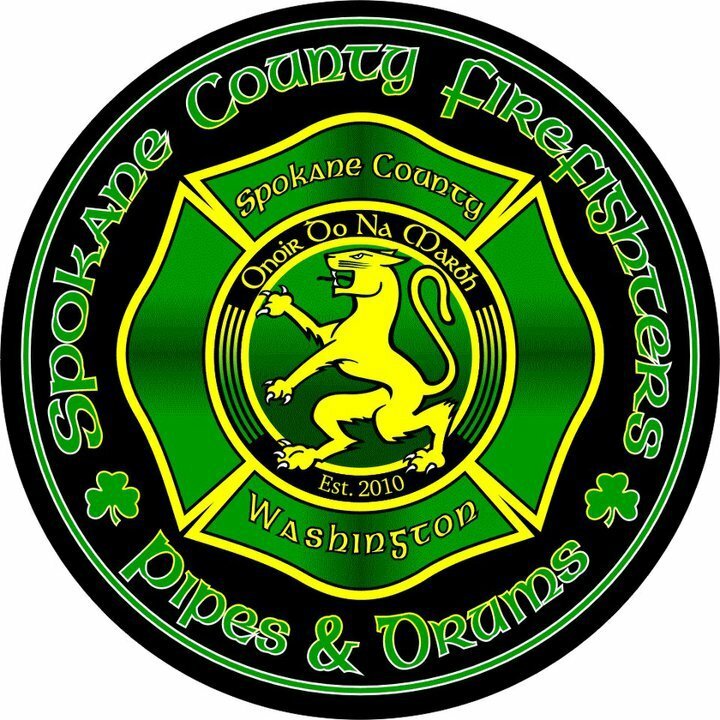 The fire was quickly extinguished with hose leads from Spokane Engine2 . There were no injuries to civilians or firefighters. This incident is currently under investigateion by menbers of the Spokane Fire Department's Special Investigation Unit. Loss of the construction trailer and contents.